I tried to make a "flamethrower" with a bag of flour and a hairdryer when I was a kid. It wasn't very reliable, but it got the job done. July 31, 2017 at approximately 1:00 pm. Switz City, Indiana. White Farms Inc. 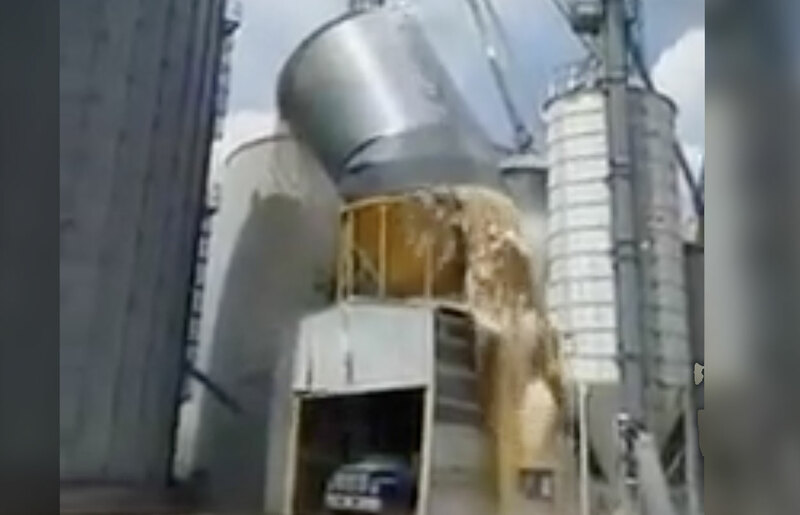 Overhead tank collapsed full of corn. It hit a power line on the way down and sparked the grain dust igniting the dust and causing the flash. We are very fortunate that there were no injuries! 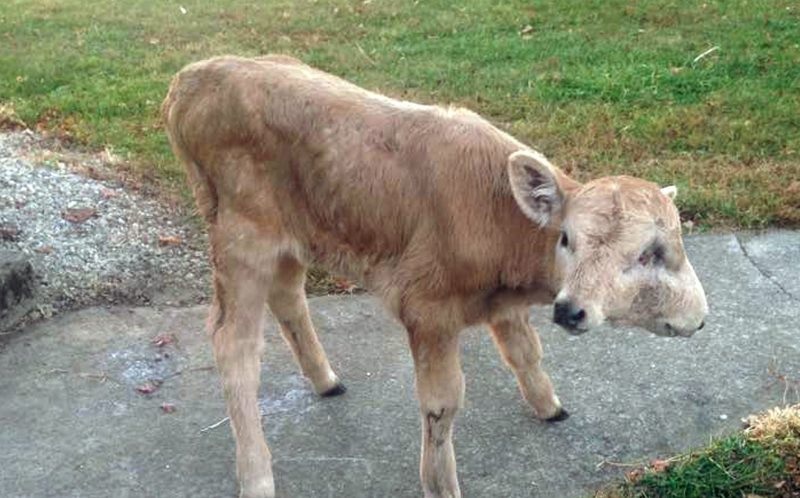 The calf was named Lucky by the McCubbins' five-year-old daughter, Henley, after her parents told her the rare animal was lucky to be alive. Most such genetic or developmental defects are aborted in the womb, although a few make it to birth. Most of those die within a few days. For a two-faced or two-headed animal to make it to adulthood is extremely rare. It's considered ultrarare in the wild, although two-faced cat "Frank and Louie" lived to at least 12 years old, thanks to the care of its owners. So far, Lucky has been doing well, the McCubbins said, although the middle two of her eyes don't work. She can only walk in circles and falls down a lot. Lucky needs some help eating, and both mouths move at the same time. 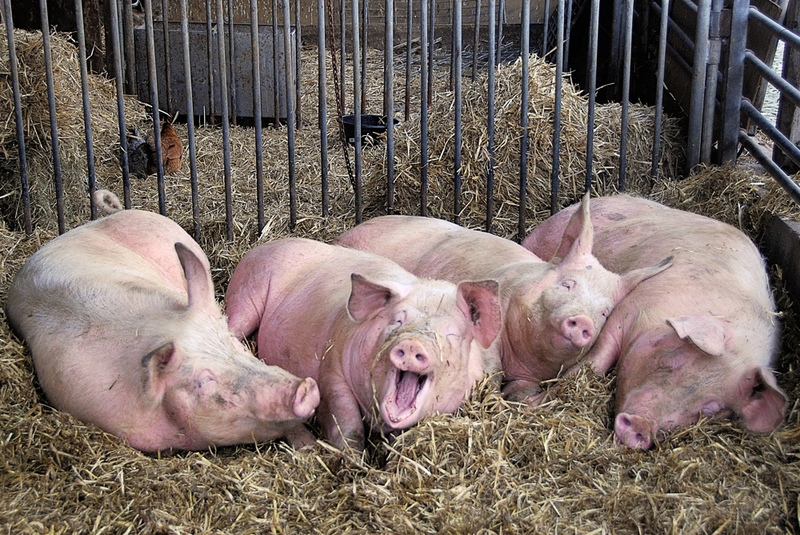 Naked drunk guy found in barn cavorting with hogs. Again. “I just like pigs,” he tells cops. Police noticed an odor and alcohol, and Henry admitted to drinking a six-pack of Hamm's beer. Which came first, the chicken or the egg? Silly question. But if you're talking about chicken as we know it today — barbecued, boneless and skinless, served as sausages, bologna, nuggets, and burgers — the answer is actually "neither". What came first was Robert C. Baker, a Cornell University food scientist who is credited with popularizing chicken as a convenient, everyday meat. At Slate, Maryn McKenna has a really interesting piece about Baker's role in the invention of the chicken nugget. 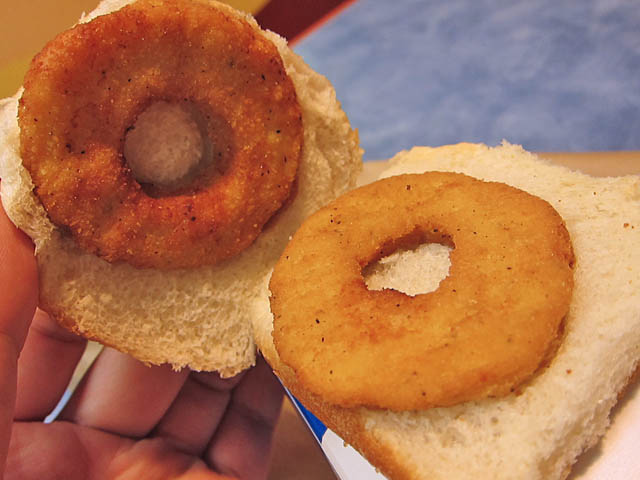 Although you've probably heard that the nugget was invented by McDonald's research and development staff, Baker actually beat them to the punch by a couple decades, turning out "chicken sticks" in 1963. The catch is that, as a researcher at a publicly funded university whose primary goal was to increase the profitability of family-operated chicken farms in upstate New York, Baker never patented his own ideas. Baker’s prototype nugget, developed with student Joseph Marshall, mastered two food-engineering challenges: keeping ground meat together without putting a skin around it, and keeping batter attached to the meat despite the shrinkage caused by freezing and the explosive heat of frying. They solved the first problem by grinding raw chicken with salt and vinegar to draw out moisture, and then adding a binder of powdered milk and pulverized grains. They solved the second by shaping the sticks, freezing them, coating them in an eggy batter and cornflake crumbs, and then freezing them a second time to -10 degrees. With trial and error, the sticks stayed intact.